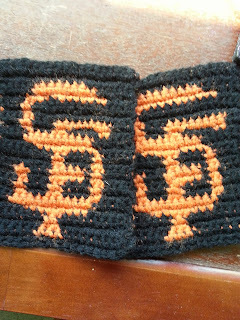 Since it's fall, October, and baseball season, it seemed fitting to post my orange and black SF Giants coaster pattern. 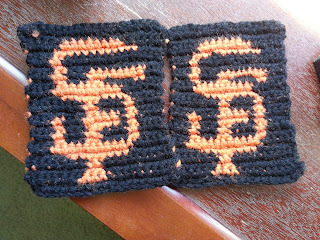 Although they're not in the playoffs this year, a girl can still root for her favorite team, right? 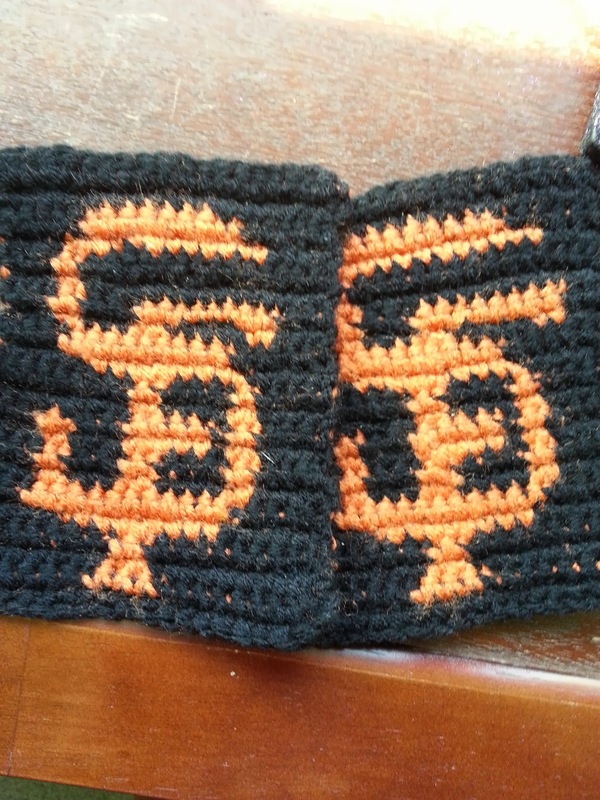 This coaster works up quickly, so a set would make a great last-minute gift for any Giants fan. You may sell the finished project, but please reference and link this post. Please do not copy and post this pattern and claim it as your own. At the end of each row, ch 1 and turn. Change colors as indicated. Repeat Row 21. Fasten off. Weave in ends with tapestry needle. I also made this really adorable SF Giants beanie with the same yarn as the coaster for a friend. Unfortunately, I didn't write down the pattern as I made it. Maybe that'll be something I'll write in the future and post on here! In my Superman Scarf Pattern (http://javocado.blogspot.com/2013/11/superman-scarf-pattern.html), I have pictures on how I do color changes. Hope this helps you.